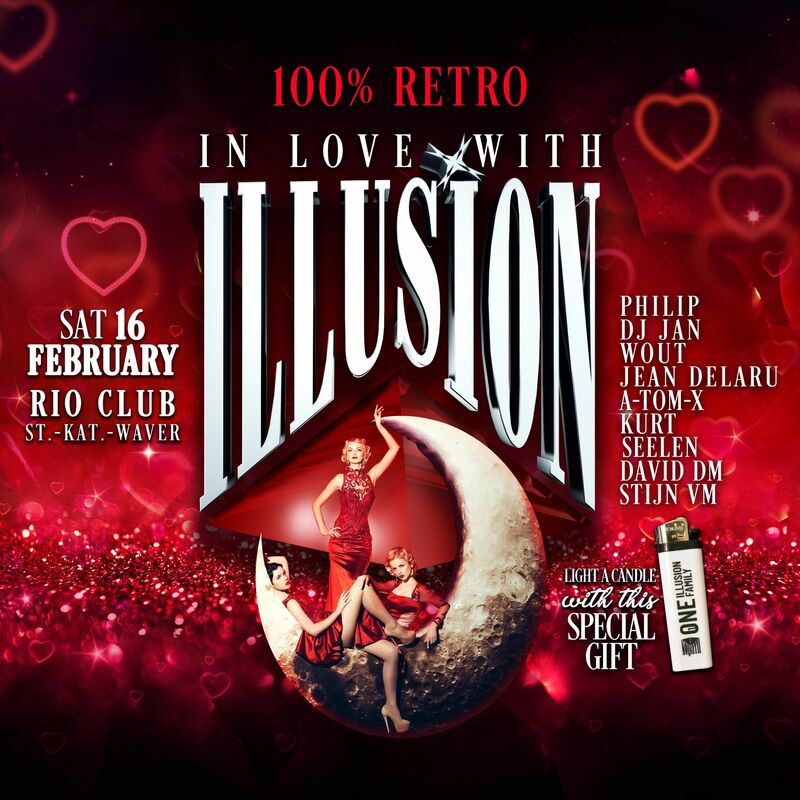 If you love retro music, if you love a big party with the best retro dj's, if you love valentine, if you love to have a unforgettable night with your best friends... Then fall in LOVE with Illusion! They'll make your beautiful retro dreams a reality! With a special Illusion gift!